When it comes to a table saw, it is a worthwhile addition to almost any workshop. Whether you’re a professional woodworker, who has years of experience behind him, or even a Do-It-Yourselfer, this particular tool can help you make a variety of cuts – including bevel, miter or even cross cuts – without any hindrance. You can use it for making crown molding, furniture or other such accessories and when it also offers a bigger cutting capacity, it makes these saws a must-have cutting tool in almost any wood cutting project. So if you’re looking to purchase the best table saw 2019, one which comes with a complete fusion of quality, accuracy and long-term durability, you’ve just landed at the right place. 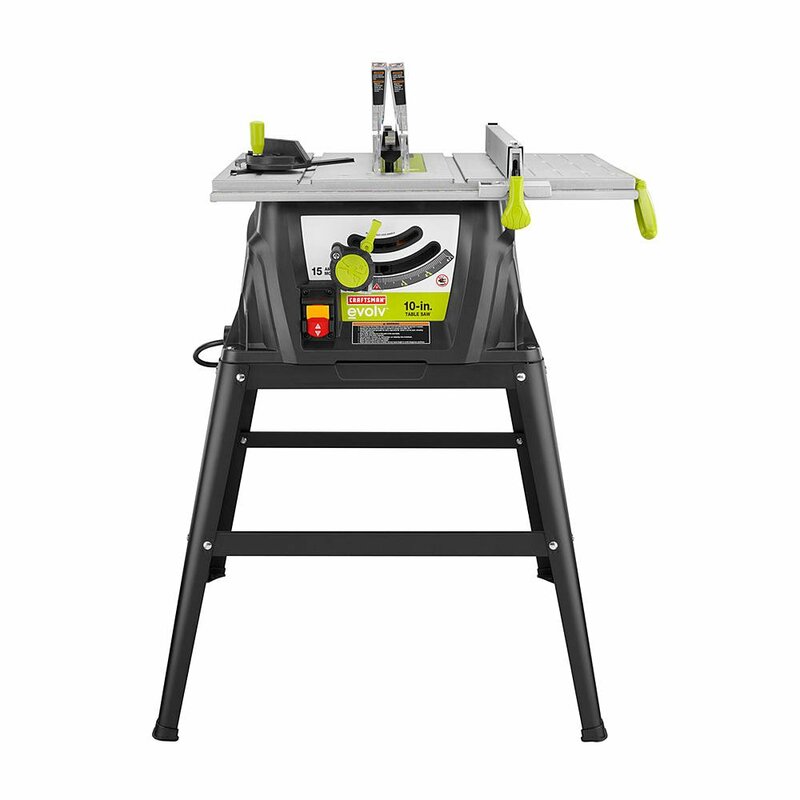 In the below-mentioned guide, we’ve compiled the reviews of the 10 top rated table saws which you can purchase on the tools marketplace. Each one of these models comes with a wide range of hi-tech features so depending on your needs, you can purchase any one of them with full confidence. The table saws are normally categorized into 4 different types. Starting from a portable Bench Top Saw, it includes Contractor Table Saw, Hybrid Table Saw and finally, Cabinet Table Saw. The Bench Top table saw is designed for those who are looking for a lightweight yet the affordable type of table saw. Incorporating a limited cutting capacity, it comes without a stand so you’ve to attach it on top of a table or any other such surface. Thanks to its lightweight construction, a bench top saw is easier to move from one job place to the other. So if you want to purchase a cutting tool for light-duty work, this might be the best table saw for the money. As evident from its name, the Contractor Table Saw is often the go-to cutting tool for professional woodworkers for medium-sized cutting tasks. Featuring a better cutting capacity as compared to that of bench top table saws, a contractor table saw is considerably lighter in weight than hybrid & cabinet table saws. However, its cutting capacity is still less than the next two models so as long as you’re aren’t going to use it for cutting large sheets, a contractor table saw will work just fine. The Hybrid table saw possesses an intermediate set of properties of both contractors as well as the cabinet table saws. Having a somewhat similar working mechanism that of a contractor table saw, a hybrid table saw comes with an enclosed cabinet – much like that of a cabinet saw – for better dust collection. The Cabinet Table Saw is the heaviest, largest and the most expensive type of table saws which is designed for real heavy-duty applications. It generally comes with a heavy cast iron table fitted on a smooth cutting surface. The motor is enclosed within a cabinet which is designed under the saw table along with sturdy trunnions as well as durable gearing mechanism. Thanks to such a superior construction, the cabinet table saw can be used for real heavy duty applications for an extended duration of time. So if you’re looking for a professional table saw, one which can handle even the thickest of materials such as large hardwood sheets, the cabinet table saw is worth a try. 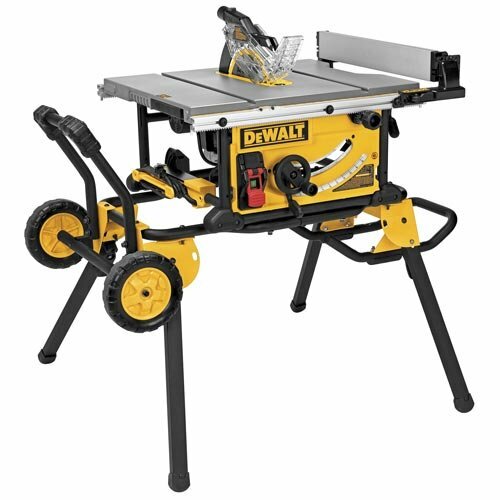 Coming towards the DEWALT DW745, this is basically a job site table saw designed to cut a wide range of materials. Available at an affordable price, the 10-inch table saw incorporates a lightweight construction as the overall weight of this unit is just around 45 lbs. In addition, it also comes with a decent rip capacity along with a suitable bevel range. 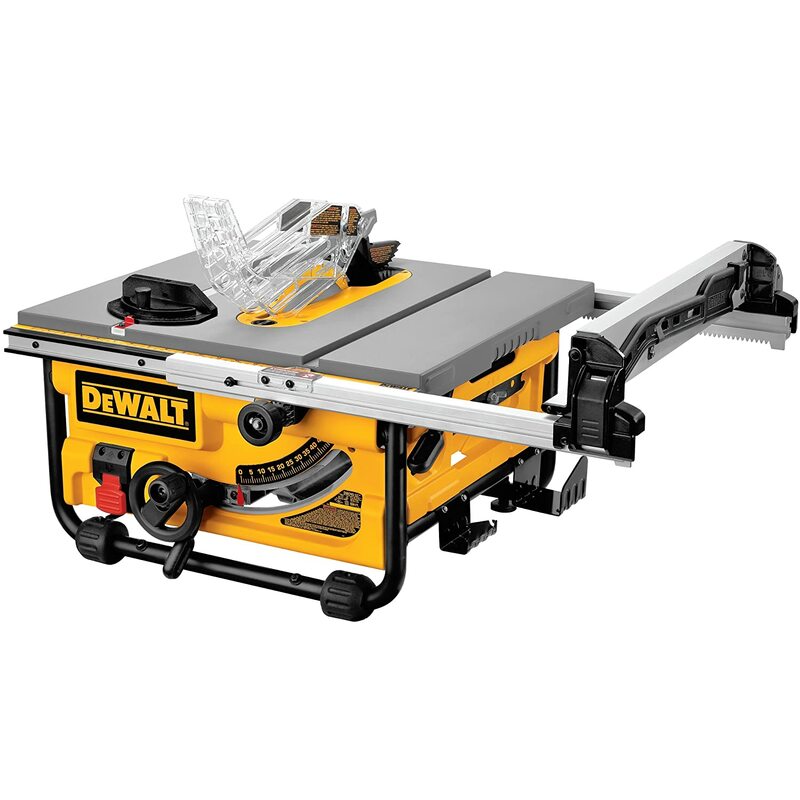 As already mentioned, the DEWALT DW745 consists of a lightweight construction which means that even a single operator can move this small table saw from one place to the other on the job site. As compared to a vast majority of table saws, this one can be loaded or unloaded on a vehicle by no more than a single person which makes it a truly portable unit. The DEWALT DW745 table saw is powered by a 15-amp motor which allows the blade to run at a no-load speed of 3850 RPM. For making it easy to cut through different types of wood, it comes with a 10’’ blade which is more than enough for performing your everyday tasks. The rack and pinion fence on the DEWALT DW745 is pretty easy to maneuver. There are a number of different ways in which you can control the distance between the blade and the fence. First of all, you can simply unlatch the table saw fence before moving it back and forth on the telescoping rails. Then comes the side handle which is another convenient way of adjusting the fence. The DEWALT DW745 table saw comes with a wide beveling range of as you can adjust its blade from 0-45 degrees. When it can cut up to 2 ¼’’ at an angle of 45 degrees, this unit can also cut up to 3-1/8’’ at a perpendicular position which makes it quite a versatile unit. As per its ripping capacity, this saw comes with a 20’’ ripping capacity on the right side and a much lesser 12’’ to the left side of the blade. So apart from using this saw on the hardwood, you can also use it on other such materials as well. If you’re looking to purchase the best budget table saw within a reasonable price range, the DEWALT DW745 is worth a shot. Despite the fact that this is a cheap table saw, it still does come with all the features which one could expect from a DEWALT product. The DEWALT DWE7491RS is designed for all those woodworkers who’re looking for a powerful yet portable table saw. Incorporating compact construction, this model comes with an increased ripping capacity. Also present in this saw is the rack and pinion telescoping rail system which allows you to cut wider materials without sacrificing portability. The DEWALT DWE7491RS table saw comes with a staggering 32.5 inches rip capacity on the right side of its blade. As compared to the previous models of this manufacturer, this is a much-improved capacity which allows you to handle even the largest of rip materials. When such kind of materials is quite heavy, they often require special arrangements. For making sure that this saw won’t get damaged under the weight of these materials, the manufacturer has provided a superior rail extension in this unit. It means that regardless of the length of the material, you can cut it flawlessly with the help of this table saw. This model of the DEWALT table saw features an intuitive rack and pinion fence system which is extremely easy to adjust. It requires no more than a single hand for locking or unlocking this just before adjusting it at your desired place. And even though the fence is so easy to adjust, it doesn’t mean that it sacrifices its control over the cutting material. So regardless of how hard you’re going to press, the wood will stay intact thanks to such a superior mechanism. When the DEWALT DWE7491RS comes with a powerful 15 AMP motor, it means that it will create a lot of dust while cutting through hardwood and other such materials. However, in order to make sure that your workplace remains dust free, this product comes with a 2’’ dust port on its backside along with a further 1.5’’ port at the blades top. Both these ports combine effectively for taking the dust out of the equation which means that you can work for as long as you want without any hesitation. One thing which we found quite impressive about this unit is its table stand. Apart from the fact that it is quite a wide table, which allows you to cut without feeling vibrations, it also comes with a couple of heavy duty wheels. So even though this is quite a heavy table saw, as the overall weight of the DEWALT DWE7491RS is 110lbs, the rolling table stand makes it easy transport. Moreover, you can also detach the saw from the base as you just have to unscrew the nuts which are holding it in place. So as far as the best portable table saw is concerned, the DEWALT DWE7491RS fits perfectly into this category. The DEWALT DWE7491RS is ideal for all those of you who want one table saw to handle a wide range of different materials. 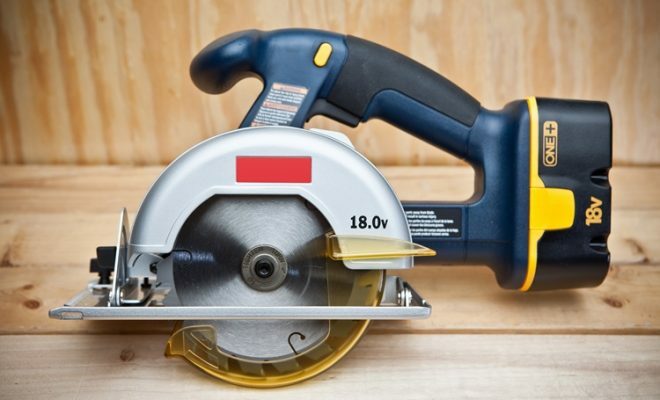 Apart from the fact that this is quite a versatile product, as you can use it to make rip cuts, miter cuts or even crosscuts, it also comes included with a table stand so you don’t have to spend additional money after making this purchase. Coming from a premium manufacturer in the field of power tools, the Bosch 4100-09 table saw comes with a catalog of features. Featuring a 15-amp motor, this model is designed to run at a no-load speed of 3650 RPM. Moreover, it makes use of a 10-inch blade which is quite easy to replace with the help of arbor lock. The rip capacity of this model is no less than 25’’ and it is covered by the BOSCH’s 1-year warranty. The Bosch 4100-09 table saw comes with a 10-inch carbide blade which is equipped with no less than 40 teeth. 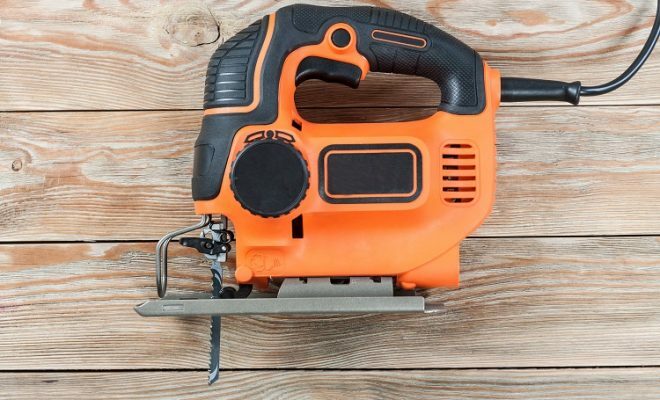 Thanks to such a superior construction, this blade is capable of cutting through pine, plywood or other types of wood without any hindrance. You can also use the Bosch 4100-09 to make bevel cuts as starting from -2 degrees, the overall beveling capacity of this unit goes up to 47 degrees. For adjusting the angle of bevel cuts, a switch is provided just behind the wheels which makes it easier to adjust. Once you’ve selected your desired angle, you can also lock it in place with the help of a convenient handle. Lastly, the 10-inch blade of the Bosch 4100-09 can make cuts up to a maximum depth of 2.5 inches at 45 degrees and it goes all the way up to 3-1/8 inches when it comes to making cuts at an angle of 90 degrees. 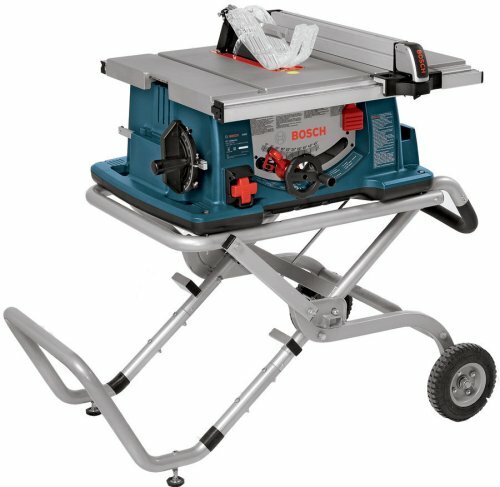 The Bosch table saw comes with a blade guard, an anti-kickback pawls and a riving knife for making sure the safety of the woodworker. The blade guard made of aluminum so you can use it for an extended duration of time. In addition, the manufacturer has provided adequate spaces in the guard’s design so it won’t interfere with your line of sight. Another impressive feature in this product, the gravity-rise stand of the Bosch 4100-09 can be opened or closed with the help of a single lever. When it makes it easier to adjust without wasting any time, it also comes with a couple of wheels so you can easily carry it from one place to the other. Furthermore, the manufacturer has provided a special powder coating finish to the gravity-rise stand for ensuring that the woodworkers can use it without worrying about any type of corrosion. Equipped with a wide range of hi-tech features, the Bosch 4100-09 is one of the best table saws which you can purchase within this price range. Extremely easy to use, this product comes with an efficient Smart Guard system which makes sure that you don’t have to worry about your own safety while working with this power tool. One of the least expensive products in this list, the Craftsman Evolv is designed for hobbyists and other Do-It-Yourselfers who don’t want to spend too heavily on this purchase. Despite the low price tag, this model still comes with a number of high-quality features which makes cutting through different types of material look like a breeze. The Craftsman Evolv is with a powerful 15-amp motor which does extremely well when it comes to handling materials of various thicknesses. As compared to a vast majority of table saws, which tends to produce a great bit of noise while working, this motor works without creating much of a noise. So with minimal noise pollution, you can complete your job in a very short span of time. The Craftsman table saw comes with a decent beveling capacity as starting from 0 degrees, you can tilt its 10-inch blade up to 45 degrees for making bevel cuts. While making a cut at 45 degrees, it cannot go beyond the depth of 2.5’’ and as per the perpendicular position, it can go up to 3’’ while cutting a material at this particular position. 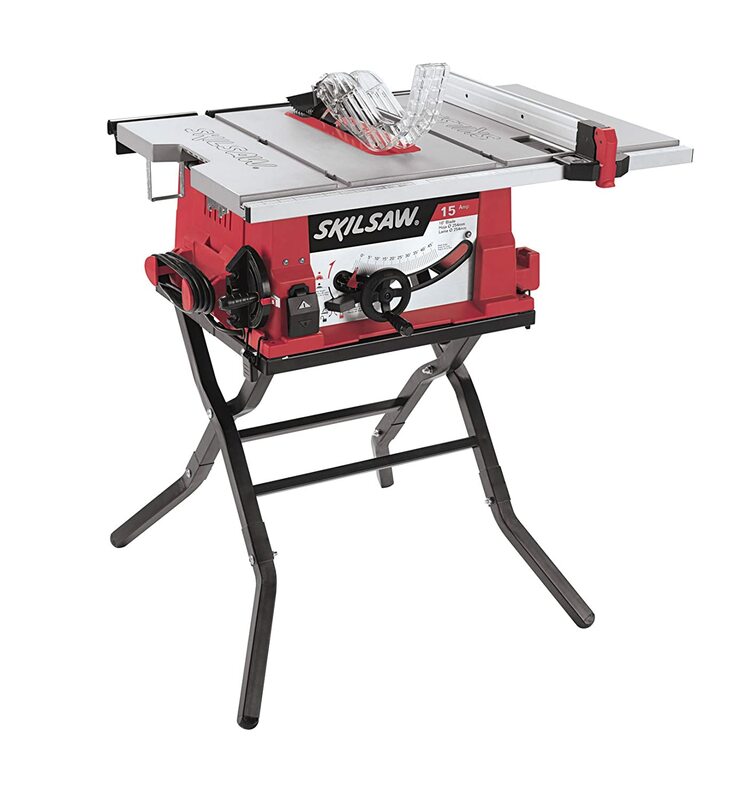 The Craftsman Evolv comes with a large steel table having dimensions of 25 inches x 17 inches. When this table can handle large materials, it is made of die cast Aluminum which ensures that you don’t need to purchase another working surface in the near future. Moreover, the distance between the table and the underneath floor is 36 inches so you don’t have to bend down while working on this equipment. The overall weight of the Craftsman Evolv is just 50lbs which makes it one of the lightest table saws in today’s market. Such a lightweight construction is especially useful for the DIYers who don’t have the required manpower for carrying a bulky unit from one place to the other. The Craftsman Evolv is ideal for all those woodworkers who’re tight on their budget but still want a compact table saw. Backed by a 1-year warranty, this product has got it all to complete your DIY tasks without any hindrance. Yet another reputable brand in the field of power tools, Makita is famous for manufacturing top of the line products for professional as well as DIY users. 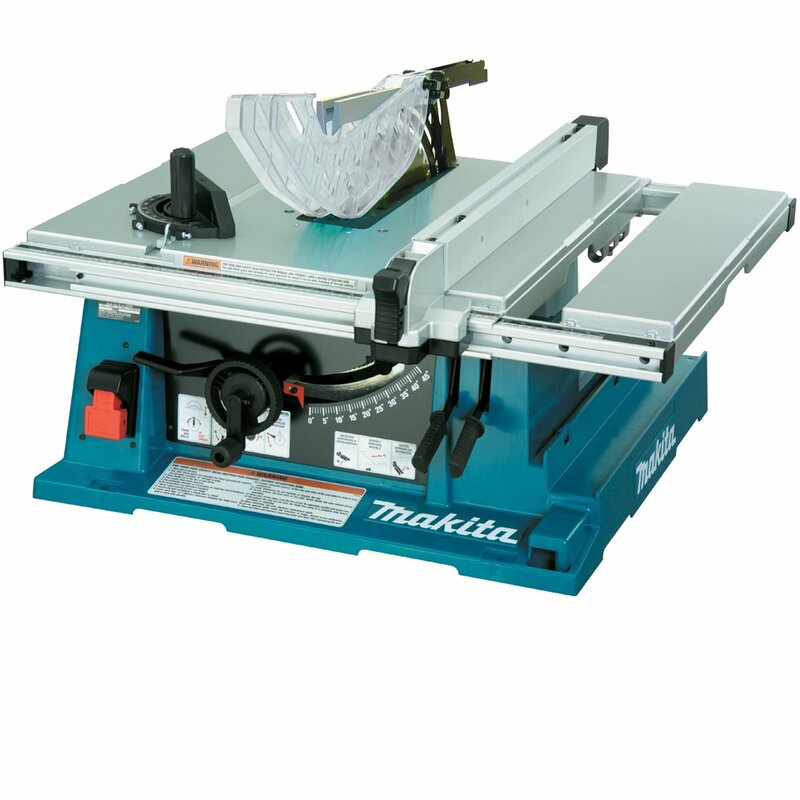 Having produced a series of high-quality saws in the past, the Makita 2705 table saw is the latest product from this particular manufacturer. Featuring a 10’’ blade, the Makita 2705 is an extremely efficient contractor table saw which allows you to cut even 4x material in a single pass. This unit is powered by a standard 15-amp motor which allows the blade to run at an impressive speed of 4800 RPM. Moreover, it makes decent cuts at both 45 degrees as well as 90 degrees apart from an increased ripping capacity. For improved cutting capacity, the manufacturer has employed a special telescoping extension in the Makita table saw. Once you set it up, this extension allows a 25’’ ripping capacity which means that that apart from a number of other materials, this product can even handle full-sized plywood sheets. Especially if you’re a professional woodworker, who often have to handle big sheets, this is where the Makita 2705 can make your job easier for you. The Makita 2705 incorporates a tool-less blade guard system which consists of a riving knife, top blade guard, and anti-kickback pawls. Depending on the type of the cut, which includes dado cuts, non-through cuts as well as through-cuts, the riving knife can be adjusted in any of these three positions as you don’t have to remove the throat plate as well for this purpose. Furthermore, the riving knife can also reduce the occurrence of kickbacks on a frequent basis which is a real plus for professional contractors. An extremely rare feature in any type of table saws, an electric brake comes extremely handy if you’ve to stop the blade in case of an emergency. When many other models are content on a mere on/off switch, which takes quite a bit of time before the blade stops working, it’s the electric brake which is capable of stopping the blade in just a few seconds. So apart from ensuring your safety, it will also improve the overall productivity of your cutting task. Apart from the miter saw, which is no more than off basic quality, the Makita 2705 is there or there about when it comes to the best contractor table saw. Having a decent ripping capacity along with an intuitive tool-less blade guard system, this product can be a worthwhile addition to almost everyone’s workshop. 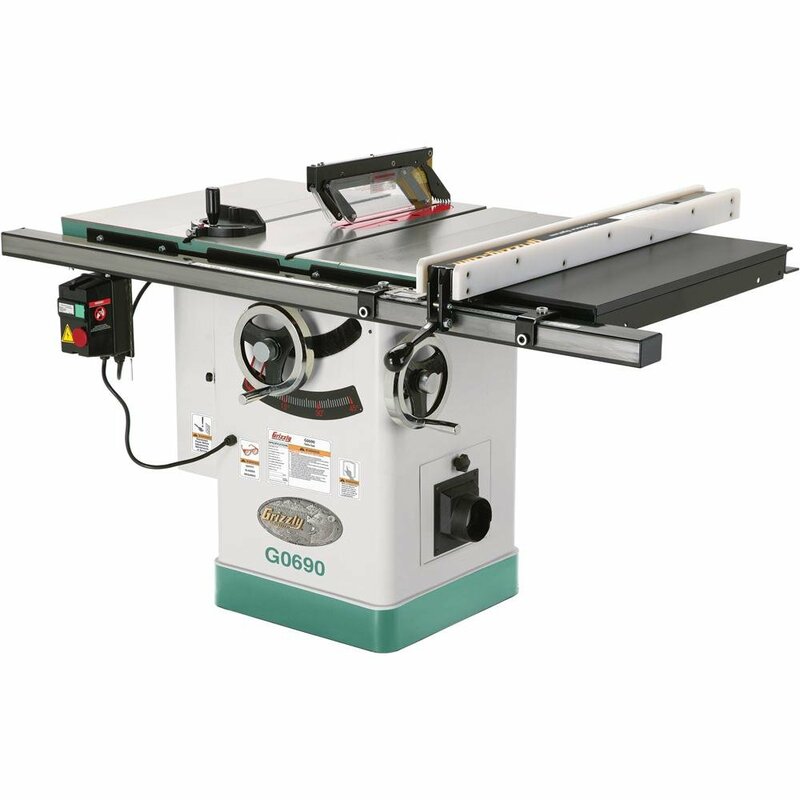 If you’re looking for a real heavy-duty table saw which can be used in your workshop for years to come, have a look at the Grizzly G0690. This is basically a cabinet table saw which runs on a powerful 3HP motor. This single phase motor transfers power to the 5/8’’ arbor via triple belt drive system which ensures smooth as well as efficient cutting operation. Moreover, the commercial table saw is designed in compliance with the relevant UL standards so you can be extra sure about the quality of this model. For making it easy to turn on/off this machine, the manufacturer has provided a rear switch on the Grizzly G0690. This switch incorporates a traditional lock-up pin along with a magnetic safety switch. This magnetic safety switch works in such a way that if this unit loses power, the magnetic switch turns the switch in the OFF position which eventually helps in avoiding any kind of injury when the power gets back on. The Grizzly table saw comes with a maximum rip capacity of 29.5’’ on the right side and 12’’ on the left side of this blade. You can use it’s 10’’ blade to make a cut up to the maximum depth of 3.125 inches at a perpendicular position. And when this blade can tilt up to 45 degrees on its left side, the maximum cut which can be made in this position is 3.1875 inches. For ensuring efficient cutting, you can change the blade height with the help of hand wheels – made of cast iron – which is provided beneath the saw blade. You just have to turn the hand wheels and once the blade is set in your desired position, you can lock it up with the central knob. At a time when a majority of table saws are content with 2’’ dust ports, the Grizzly G0690 has gone one step ahead with a 4’’ dust port. When it keeps your workplace clean for an extended duration of time, you can also attach this port with an industrial vacuum. The Grizzly G0690 is designed for all those woodworkers who’ve to handle large workloads in their workplaces. When any such job would require a heavy-duty equipment, that’s what this product is all about. Durable construction with an unmatchable accuracy, this product will handle everything which you can throw at it in the workshop. Having a powerful 15-amp motor rated at 120V, the SKIL 3410-02 features a no-load speed of 5000 RPM. 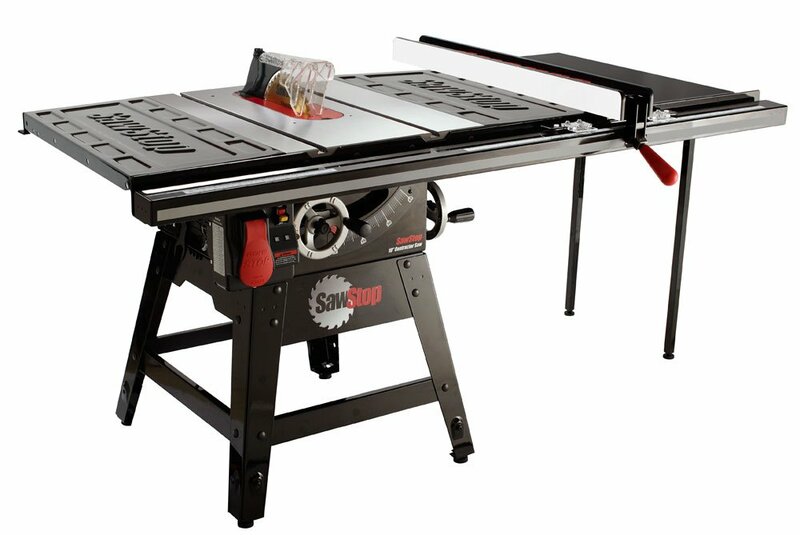 This table saw features a self-aligning rip fence which makes it easy to rip through different types of wood. This product is basically made of heavy-duty steel so even though it is a bit heavier as compared to other benchtop table saws, as the overall weight of this unit is no less than 67lbs, but it eventually allows this unit to remain stable under the intense workload. The SKIL 3410-02 table saw comes with a folding stand which is also made of heavy-duty steel. Apart from making it easier to transport this unit from one place to the other, this stand is extremely easy to set up. It eventually helps in the ease of installation as all you’ve to do, before using this saw, is to unfold the steel stand and that’s it. So if you want to get through your job in a hurry, the SKIL 3410-02 table saw is devoid of complex installation. The 10-inch carbide-tooth blade, which comes included with this purchase, is more than capable of cutting through 4x materials. Starting from 2 degrees, it can make bevel cuts all the way up to 47 degrees which is a bit higher beveling capacity as compared to a majority of other bench top table saws. This blade can cut up to the maximum depth limit of 3.5’’ at 90 degrees and up to 2 ½’’ at 45 degrees. Another thing which is quite unique about this saw is that it can also work with an 8’’ dado blade while making dado cuts up to 13/16’’. While operating the SKIL table saw, you don’t have to worry about your own wellbeing. This table saw comes with a riving knife, which prevents the kickbacks from happening at a regular frequency, along with an equally efficient blade guard. All these accessories come with the option of onboard storage which is really convenient for a woodworker who doesn’t want to lose his accessories on the job site. The SKIL 3410-02 table saw is designed for all those woodworkers who often indulge in small to medium duty cutting applications. Having a standard 10-inch blade, this blade comes with a suitable cutting capacity which is suitable for semi-professional or DIY tasks. Coming from a famous Japanese manufacturer, which is a household name in both appliances as well as power tools manufacturing, the Hitachi C10RJ is designed for all those of you who want to make cross cuts, rip longer or cut deeper on their job site. Involving a 10-inch carbide blade, it comes with a suitable rip capacity along with a decent beveling range. In addition, its spacious work area makes sure that as compared to its peers in today’s market, you can handle much larger materials with the Hitachi C10RJ. 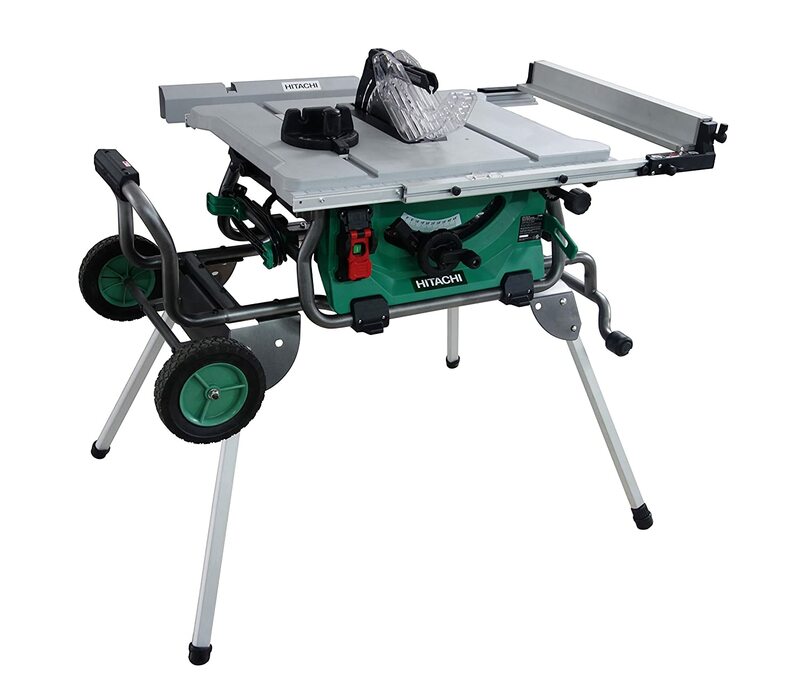 Featuring a universal 15-amp motor, the Hitachi table saw produces a powerful 4500 RPM. This speed, when combined with the 10-inch carbide blade, ensures that this is a high-performing saw which can make a wide range of cuts. Starting with the beveling range of this unit, the 10-inch blade can make bevel cuts from 0 – 45 degrees. For making it easier to adjust the bevel angles, an easy to use hand wheel is provided just under the saw table which makes it a really convenient unit. This saw can make 3.125’’ cuts at 0 degrees and up to 2.125’’ at 45 degrees. It also accepts 8’’ dado blade along with a 13/16’’ dado capacity. Coming towards its rip capacity, this is where the Hitachi C10RJ stands tall against other portable table saw reviews. When it already comes with a spacious 28 ¾’’ x 22’’ workspace, you can extend this working table, with the help of telescoping table saw extension, to increase its rip capacity up to 35’’ on its right and 22’’ on the left side of the blade. 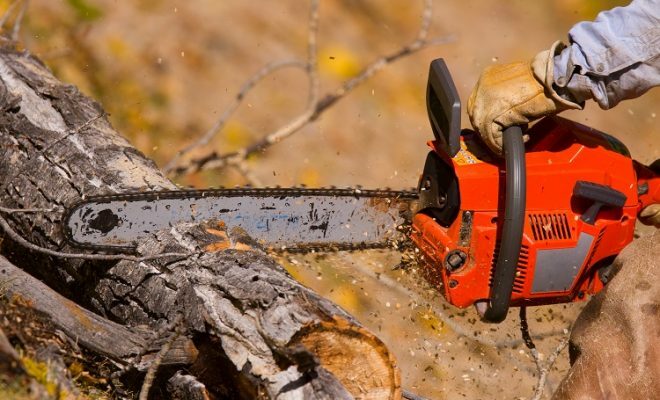 It means that this saw can handle even the largest of materials without any second thought. The Hitachi C10RJ comes with a folding stand which is further equipped with a couple of rubber wheels. When its folding ability allows easy storage, the rubber wheels makes use for the ease of transportation. So when this sliding table saw can be used as a stationary unit, you can also work on it as a portable cutting tool. The Hitachi C10RJ features a soft start function which reduces noise at the time of startup. Also present in this model is an electric brake which is more than capable of halting the blade’s rotation within a few seconds. The Hitachi C10RJ features a wide range of hi-tech features which undoubtedly makes it one of the best table saws which you can purchase. Having a large ripping capacity, this product is extremely easy to set up – thanks to its fold & roll stand – and when it is devoid of any significant weaknesses, it means that this unit can handle all your cutting related chores. If you’re a professional contractor, one who can afford to pay big bucks in return of a top-rated cutting tool, have a look at the Sawstop CNS175-TGP36 table saw. Available at a hefty price tag, this product comes power packed with features which more than justify its premium price range. All these features, including a T-glide fence system along with an extremely stable workspace, makes sure that after making this purchase, you don’t have to upgrade to another model for years to come. The Sawstop CNS175-TGP36 incorporates a powerful 1.75HP motor which is more than necessary for a professional table saw. When this product is going to handle a large workload, it features a spacious table top (20’’ x 27’’) made of heavy duty cast iron. The expansive workspace can be further extended with the help of T-glide fence system which means that this product can handle every single material, which you can work within your workshop, with little problem. Featuring a 36’’ T-Glide Fence System, which comes included with rails as well as an extension table, the Sawstop CNS175-TGP36 is designed to give unmatchable accuracy when it comes to ripping. When this rail extends this table to a considerable extent, almost no material is big enough for this table saw. Coming towards the 10’’ blade, it is provided with a 5/8’’ arbor which comes handy if you’ve to replace the blade after consistent usage. The manufacturer has made this blade compatible with 8’’ dado and if offers a standard 13/16’’ cut in this position. Apart from its impressive cutting range, another thing which impressed us the most about this saw is its unique safety mechanism. When working with a table saw can lead to unforeseen circumstances, the manufacturer of this saw makes sure that no such thing will happen to the owner of the Sawstop CNS175-TGP36. 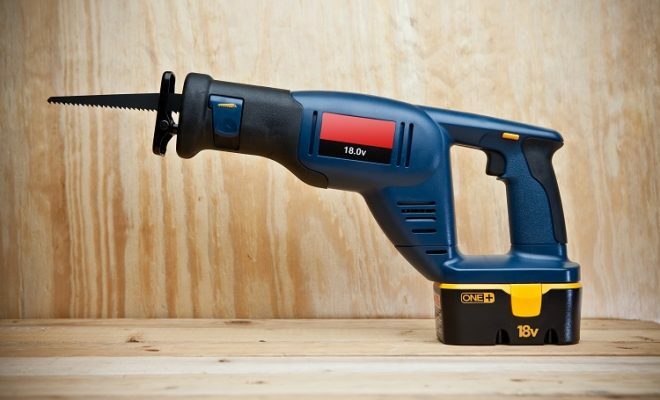 First of all, it comes with a built-in safety system which prevents the saw from turning back on after a power failure. Then the blade of this saw is provided by a special electrical signal which halts the blade as soon as your body comes into contact with it. So even if you aren’t paying full attention to your own safety, this Saw will always be more than vigilant for ensuring your wellbeing. If budget is not an issue and you’re looking for a table saw which can handle almost everything varying from big chunks of wood to large plywood sheets, the Sawstop CNS175-TGP36 can be your perfect choice. With an extra-large tabletop, this unit is extremely easy to use so apart from professional contractors, even the regular DIYers can use it with little hesitation. 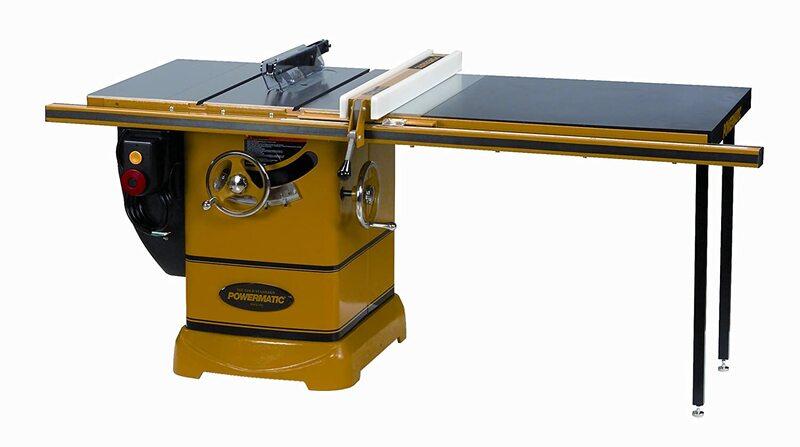 Featuring a 3HP motor, the Powermatic 1792000K is considered as a powerhouse in the field of cabinet table saws. Having a sturdy cast iron base, which is one of the heaviest in its category, this saw comes with a no-load speed of 2000RPM. Also present in this unit is a push-button arbor lock and when it is actually designed after collaboration with professional woodworkers, it leaves nothing to the imagination as far as heavy-duty cutting tasks are concerned. Weighing in at 746lbs, the Powermatic table saw is one of the heaviest products in this category. 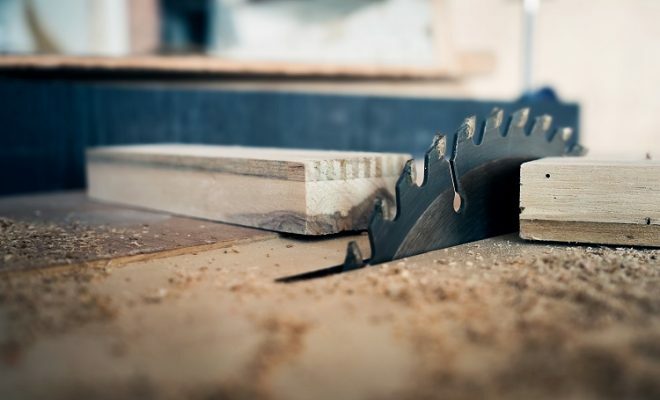 It might cause a few problems in terms of transporting this saw but if you’ve ever used a cabinet table saw in the past, you might be aware of the fact that a heavier table saw does well to reduce vibrations as compared to the one which is not so heavy. So as you’re going through your work, such a sturdy construction will make sure that you’ll always get precise results without any kind of unwanted movement. On making this purchase, you’ll get a 50’’ Accu-Fence System which is a worthwhile accessory for almost any professional contractor. The reason behind it is when it is extremely easy to adjust, as you can set it up in a very short span of time, its staggering width comes handy for handling even the largest of wooden boards. Moreover, it is made of industrial quality MOC so regardless of the intensity of your work, you can use it for years to come. If your job site involves working with panels which are even bigger than the 50’’ capacity of this fence, the manufacturer has provided a couple of cast iron extension wings along with this purchase. You just have to fix these wings and they will provide you with an even larger table top to work with. 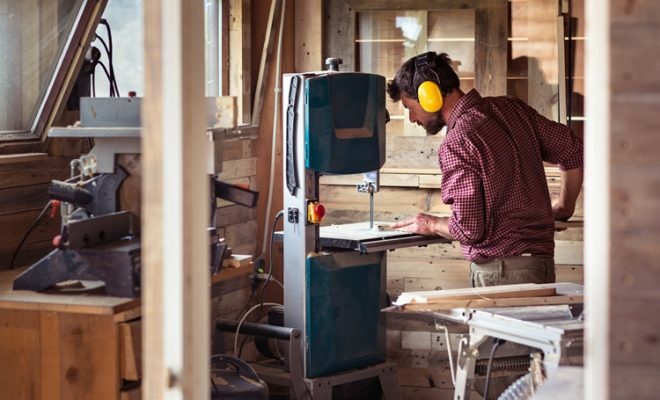 As a professional woodworker, you might have to spend a majority of your time working indoors. When a table saw is notorious for producing a considerable quantity of dust, a poor dust collection system might lead you to work in the unhealthy air. For solving this problem, the Powermatic 1792000K incorporates a built-in dust collection system. This particular feature makes sure that majority of the dust, which is produced with this table saw, is contained within its system. One thing which you’ve to keep in mind that this cabinet table saw comes with a blade or even a cord for that purpose. So you have to purchase both these accessories on your own apart from purchasing the Powermatic 1792000K. The Powermatic 1792000K is a heavy-duty contractor saw which operates with a minimal amount of vibrations. Backed by a 5-year warranty, which is much better than almost any other contractor table saw which you can purchase, this saw is designed to serve you for a lifetime. When it comes to working with a table saw, you’ve to wear safety goggles, safety gloves along with tight clothing. 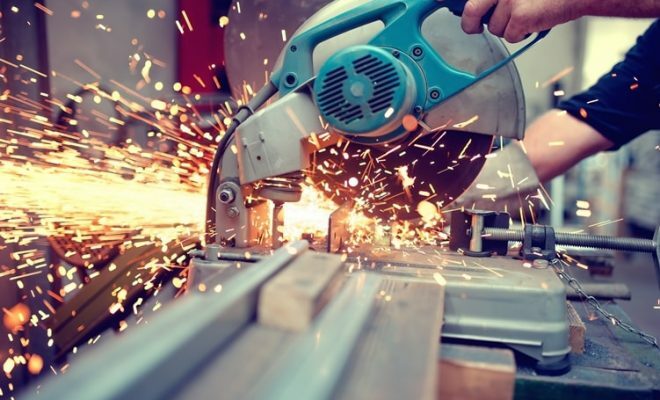 In addition, make sure that the equipment with which you are working incorporates adequate safety measures which might vary depending on the manufacturer of that product.